The future of health research depends on the public voice. This session will focus on exchanging knowledge on patient and community engagement in health research. We will explore why it matters, as well as how to find the right opportunity for you and how to maximize your impact. 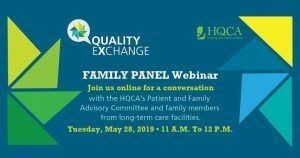 A panel of family members from the four facilities highlighted in the Quality Exchange long-term care series will discuss their experiences with having a loved one in care. 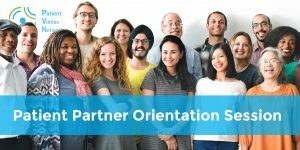 The discussion will be hosted by two members from the Health Quality Council of Alberta's Patient and Family Advisory Committee. This online panel will feature a discussion with leaders in continuing care, facilitated by Andrew Neuner, Chief Executive Officer, Health Quality Council of Alberta. The Brown Bag Lunch series is a joint initiative between Northern Health and UNBC to promote health research in the North. Brown Bag Lunch is a series of free lunchtime seminars taking place the fourth Thursday of every month and features a variety of health research topics and presenters. The presentations are held at the University Hospital of Northern BC (UHNBC) and available remotely via WebEx. Each luncheon is scheduled for 45 minutes.